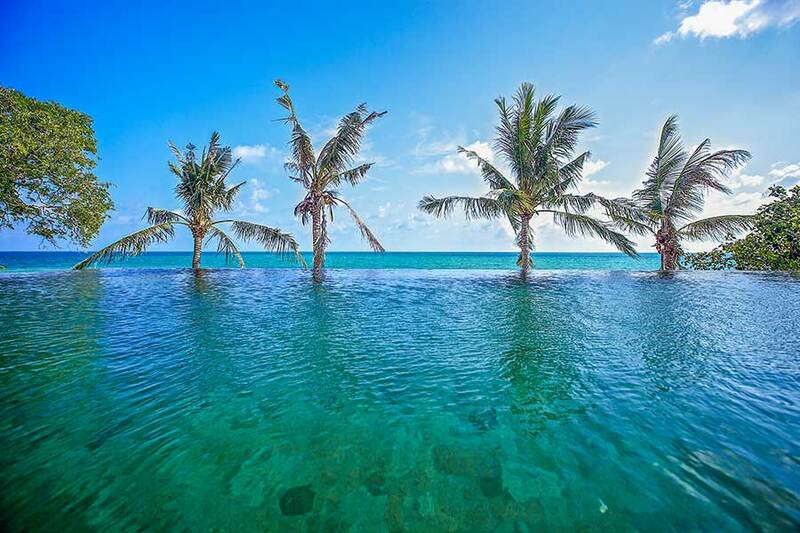 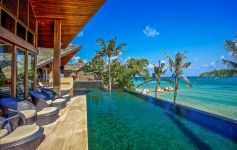 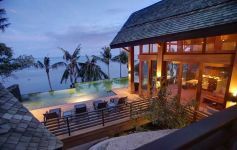 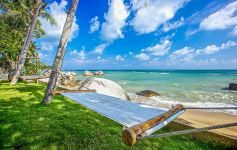 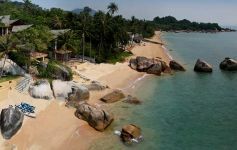 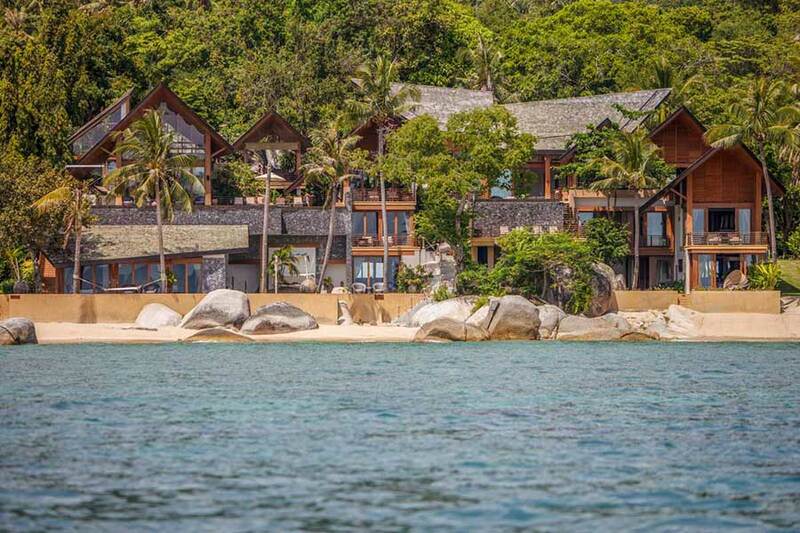 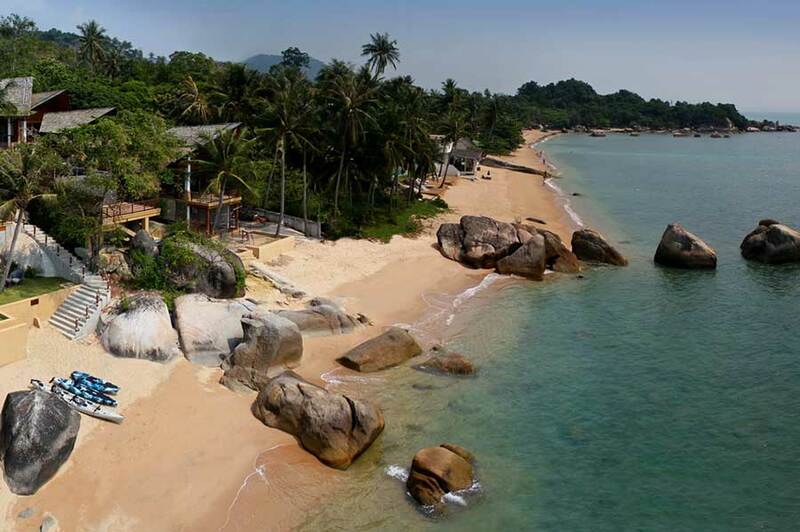 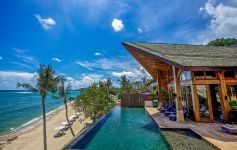 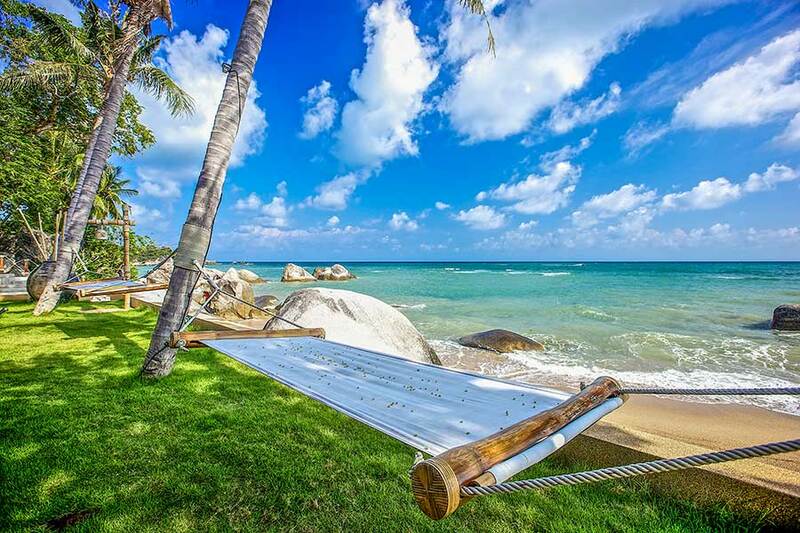 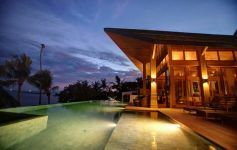 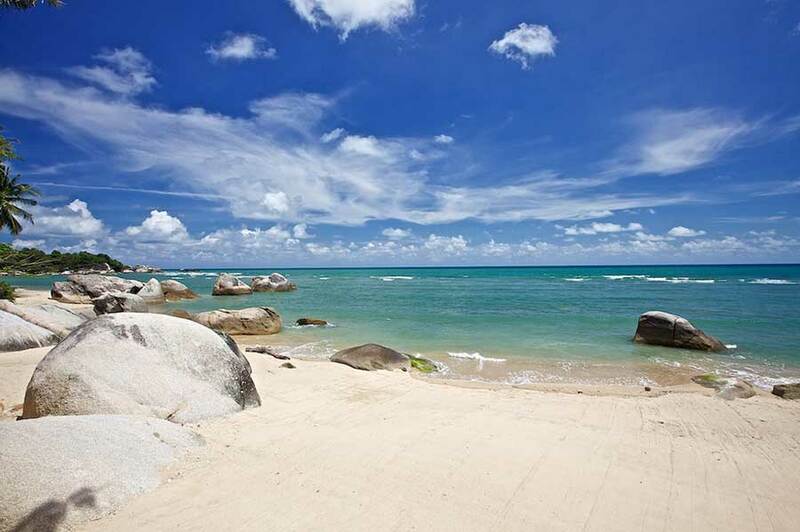 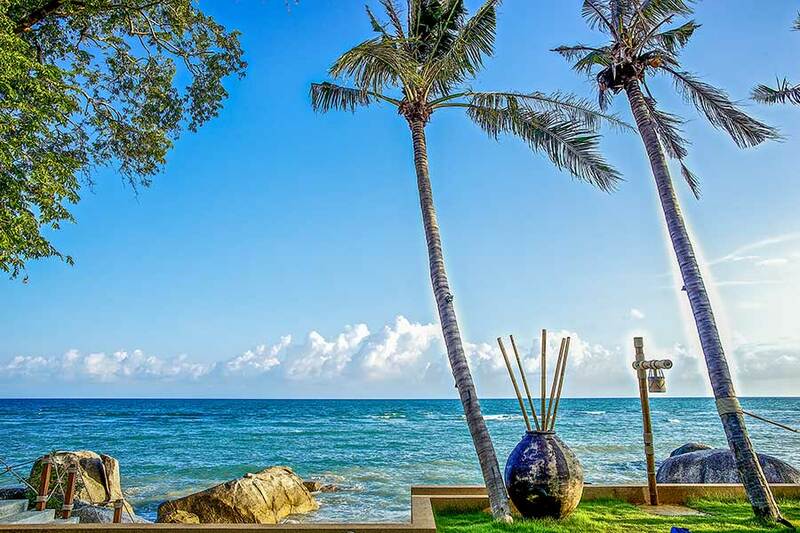 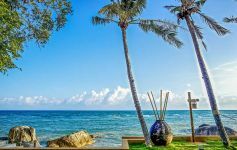 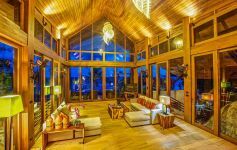 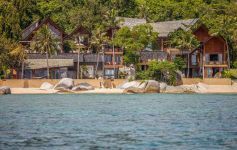 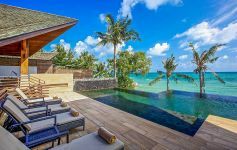 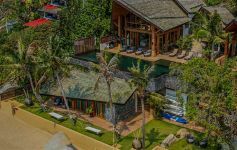 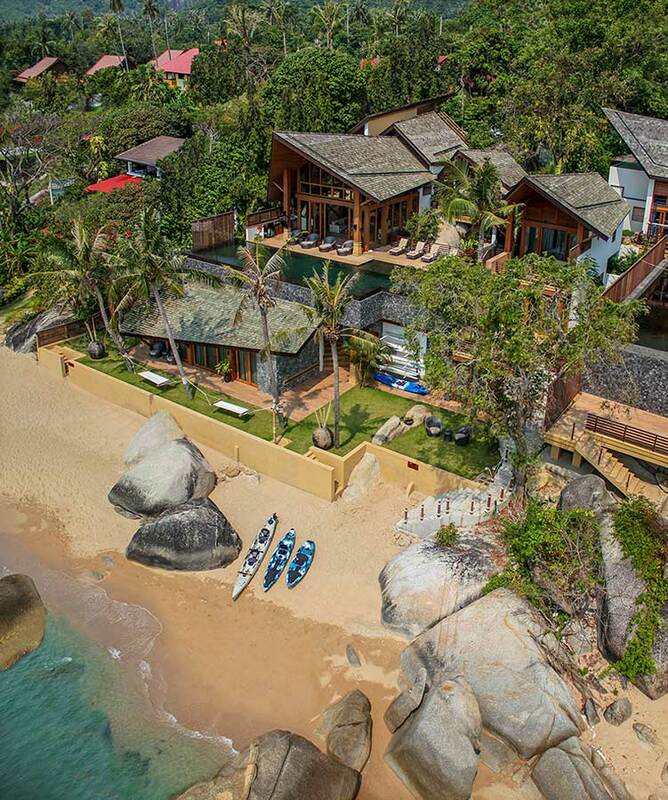 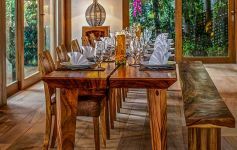 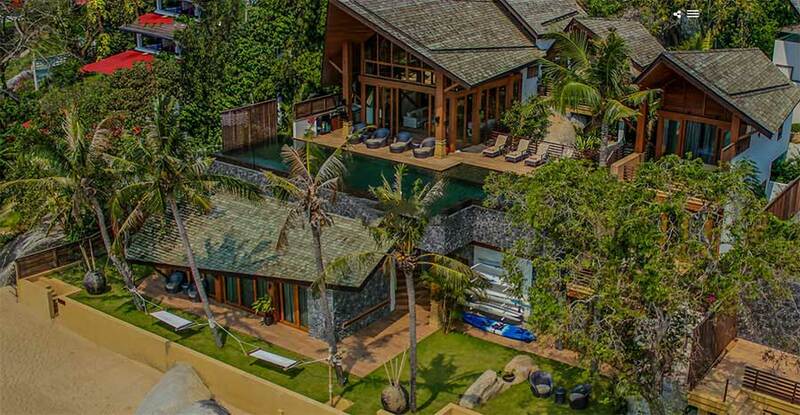 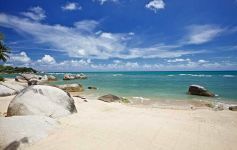 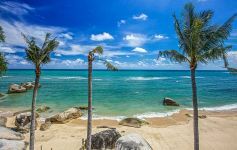 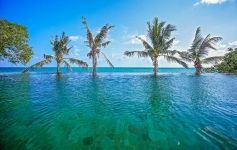 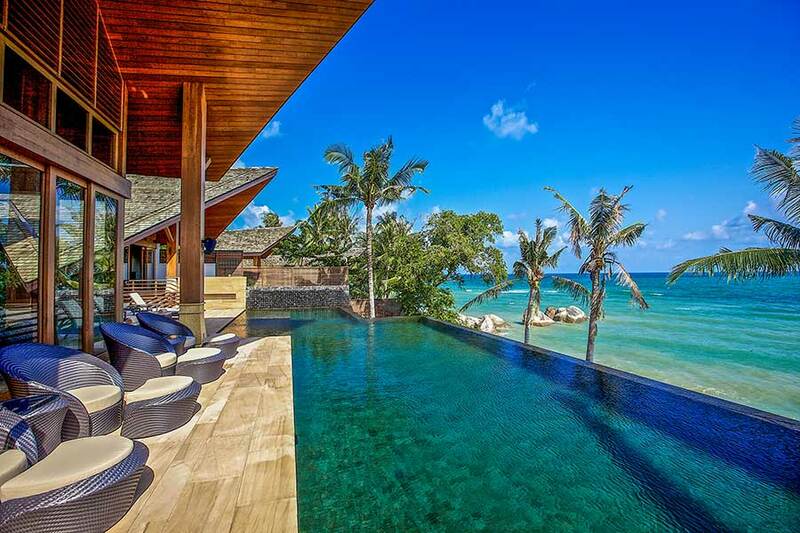 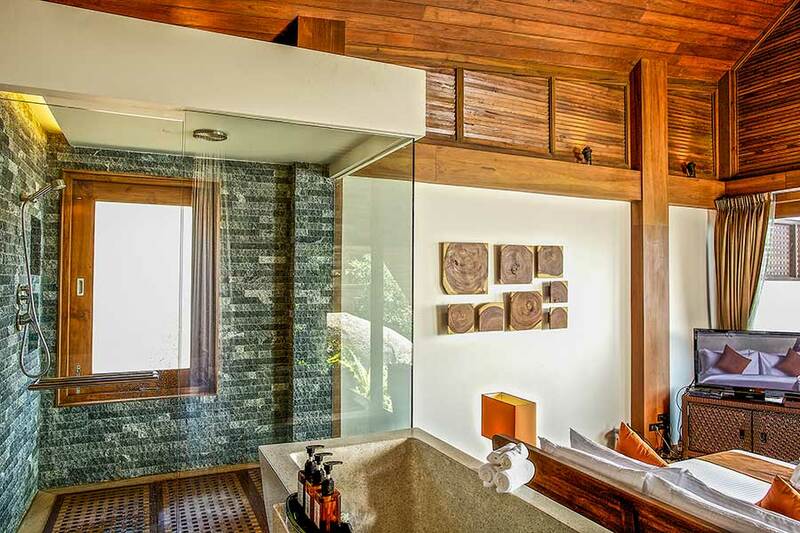 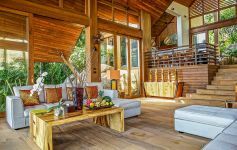 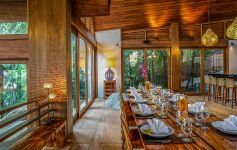 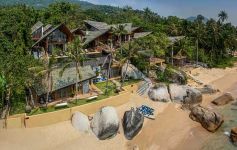 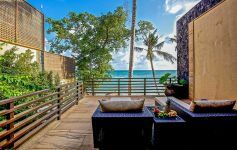 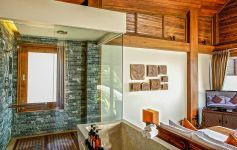 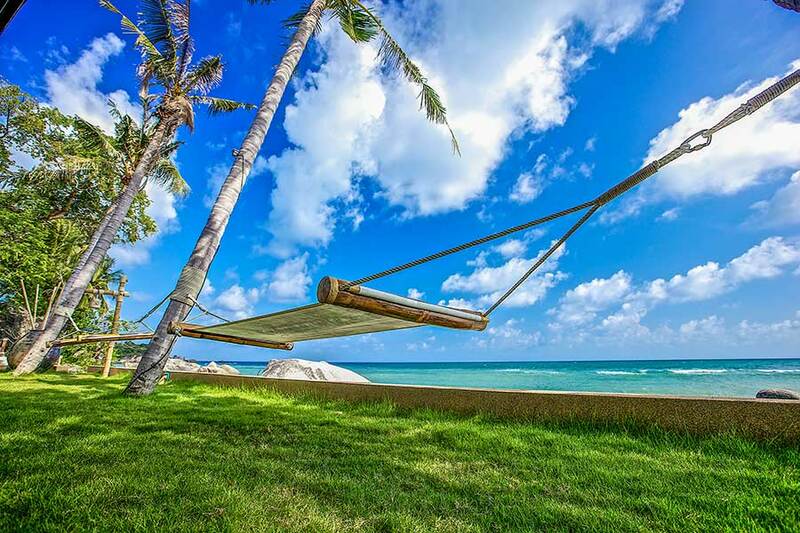 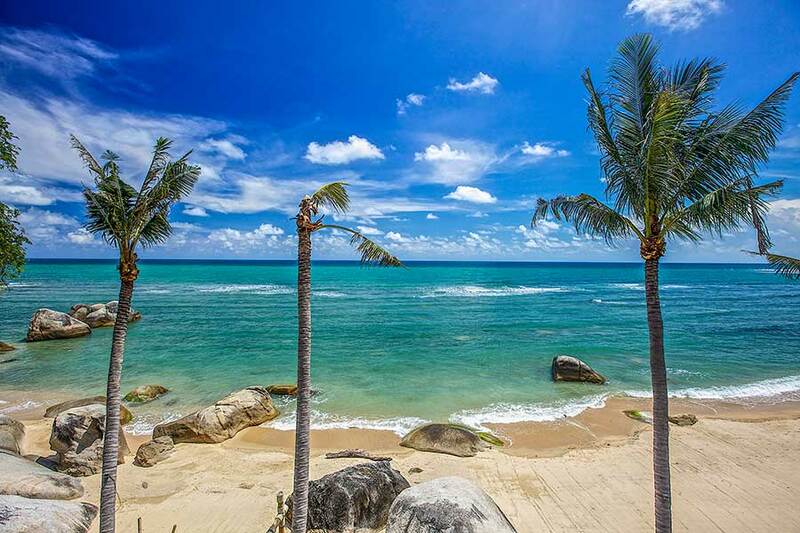 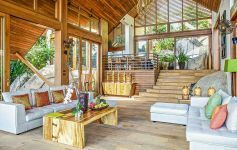 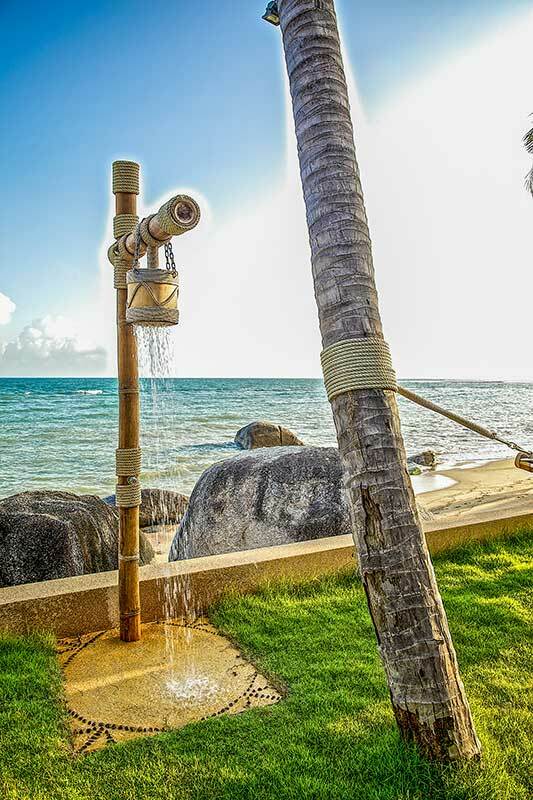 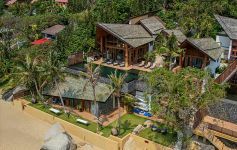 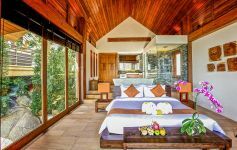 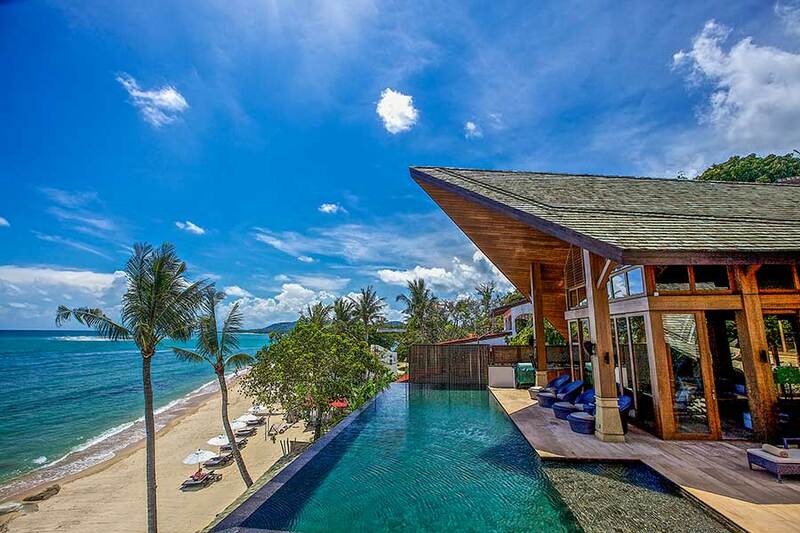 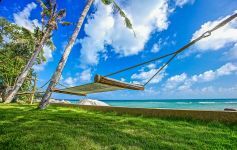 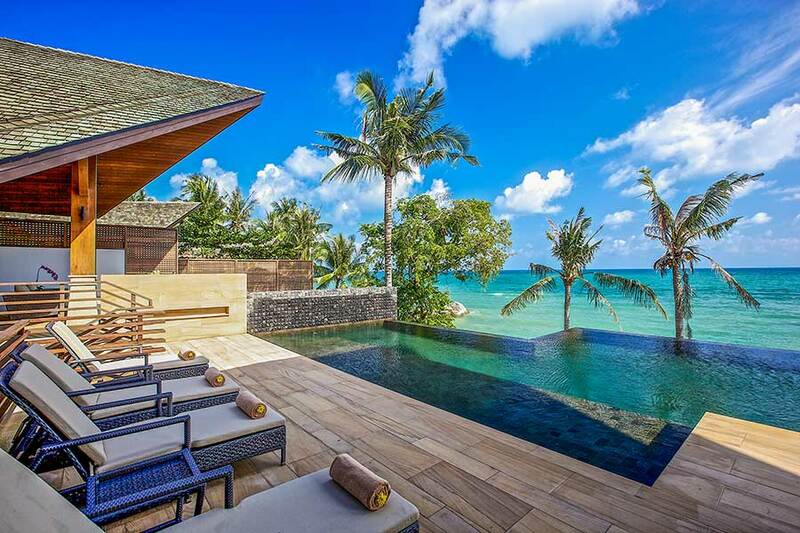 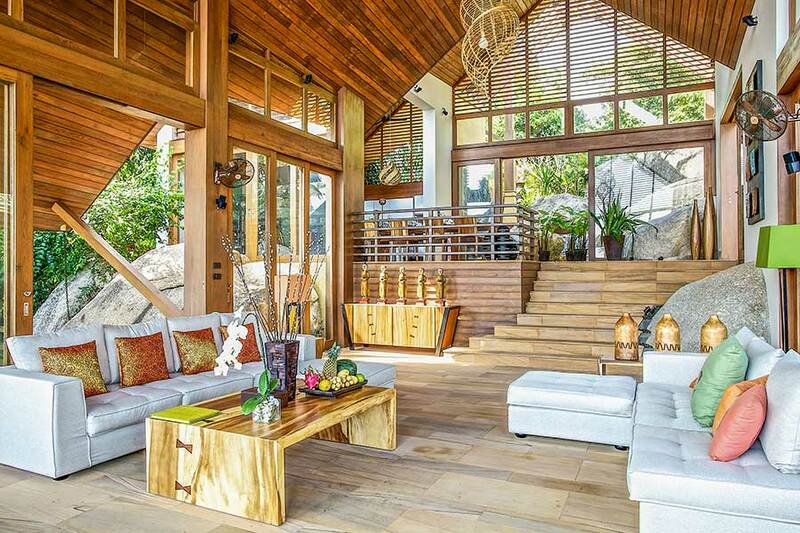 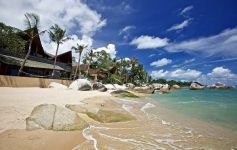 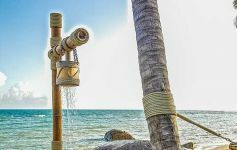 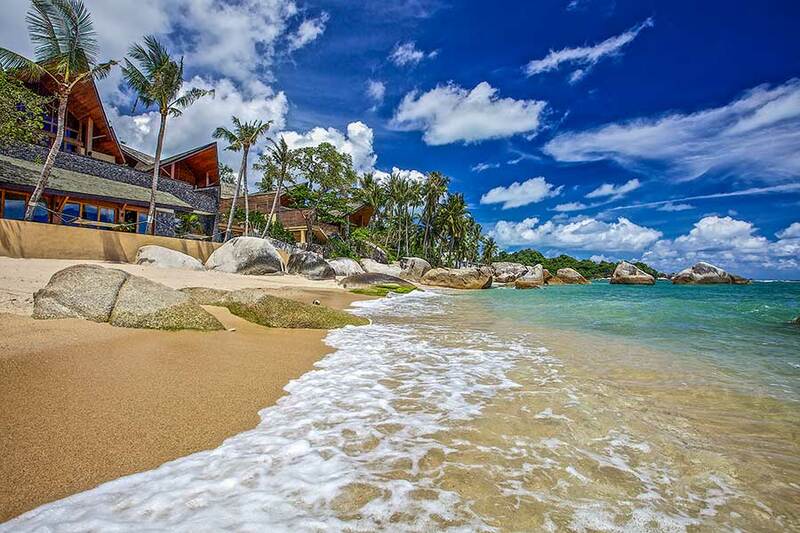 Set on a stunning site of cascading granite boulders leading down to a pristine white powder sandy beach, this iconic property represents a rare opportunity for a discerning buyer to capture one of Koh Samui's finest pieces of real estate. 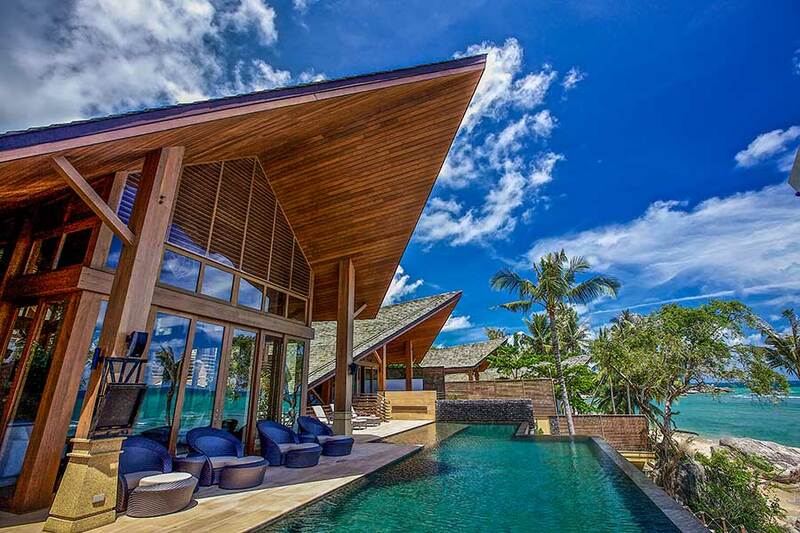 The dominant architectural features are the iconic roof structures. 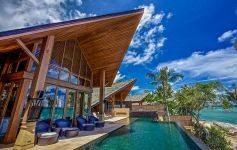 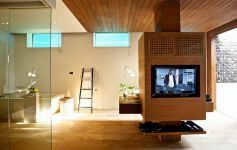 Clad in cedar shingles, the roofs rise and fall across the building, swooping up to provide dramatic lofty spaces over the main living areas then reducing to more intimate scale over the bedrooms. 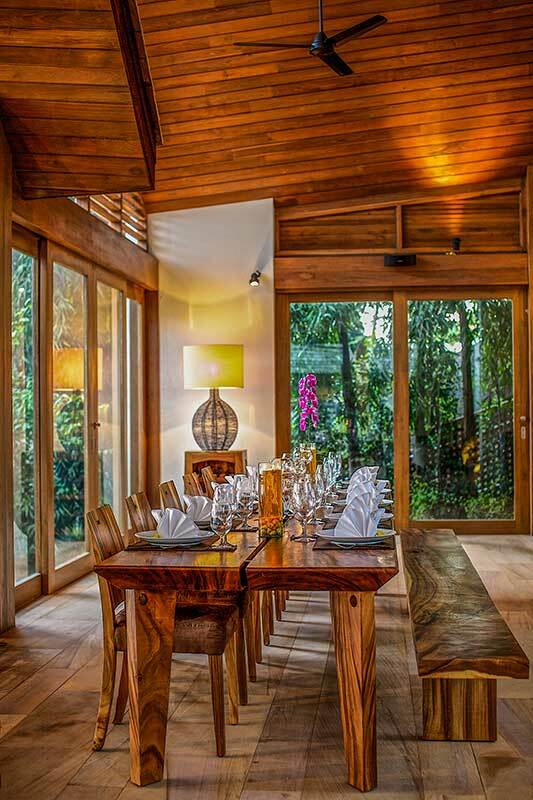 The bright split-level open plan dining and kitchen areas have full-height windows along with doors sliding open for direct access to the sundeck. 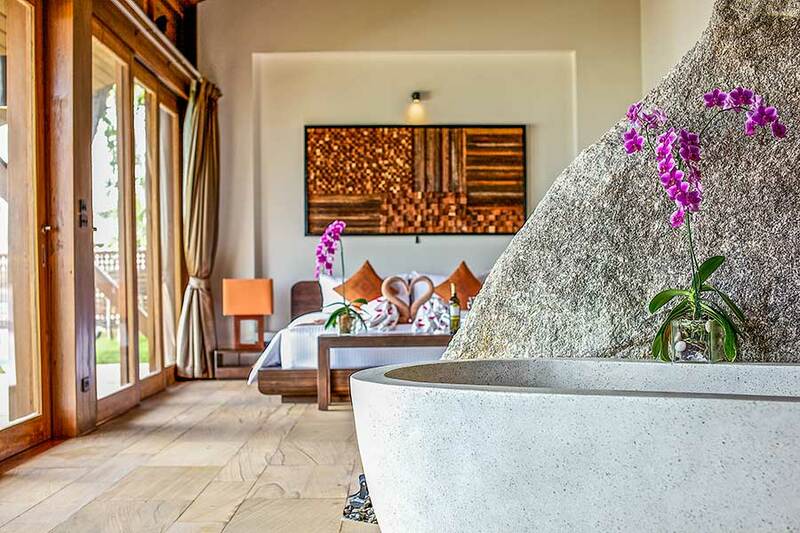 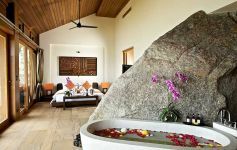 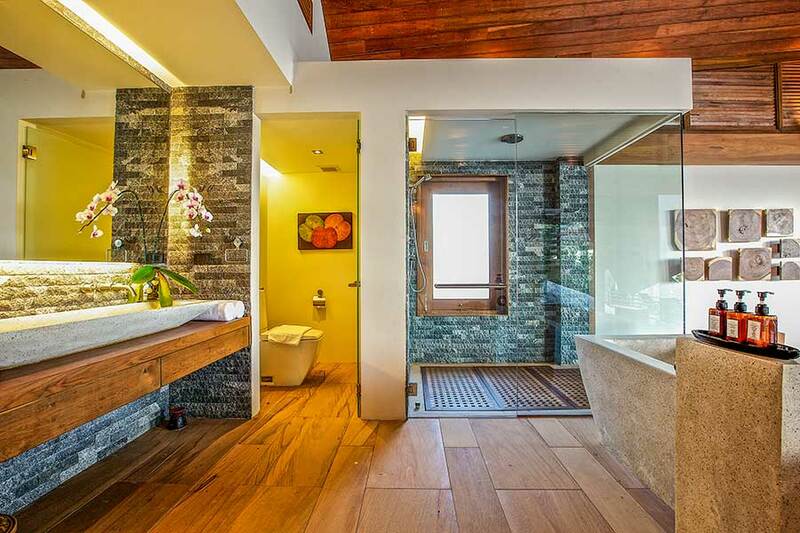 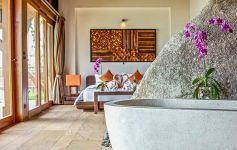 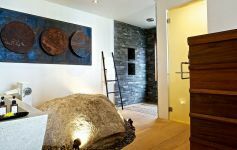 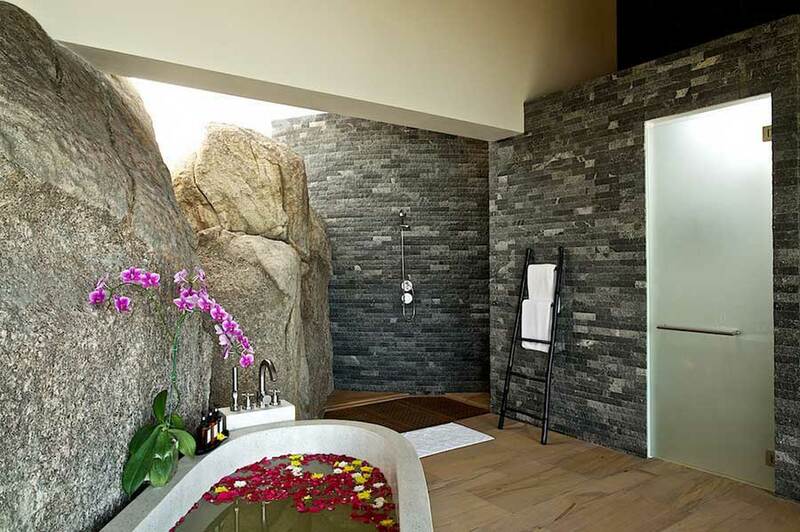 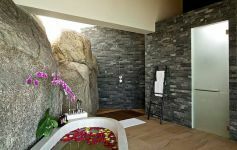 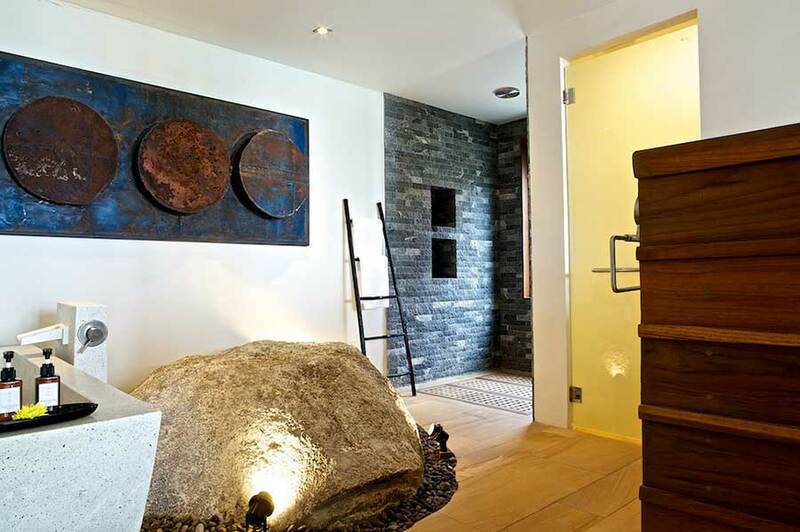 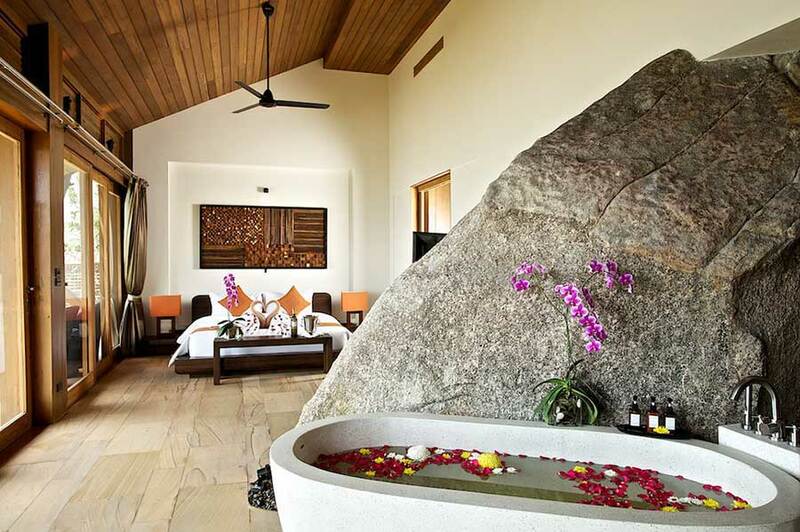 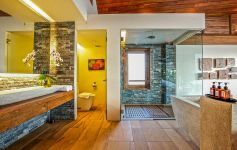 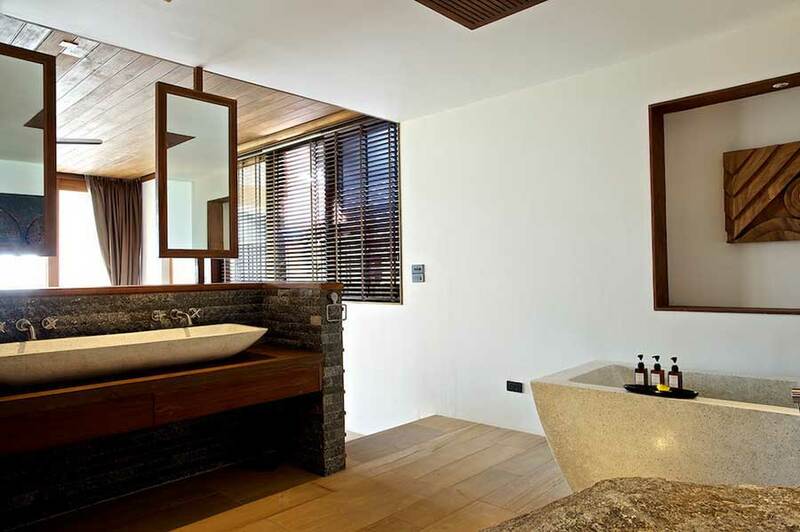 The five ensuite bedrooms incorporate the natural granite rock formations of the site and each have fitted wardrobes, bathtub, twin sinks plus an outdoor shower. 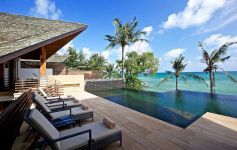 The beachfront pool, jacuzzi and sun terrace are ideal to take in the awe-inspiring island views and sunsets. 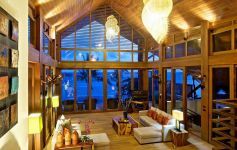 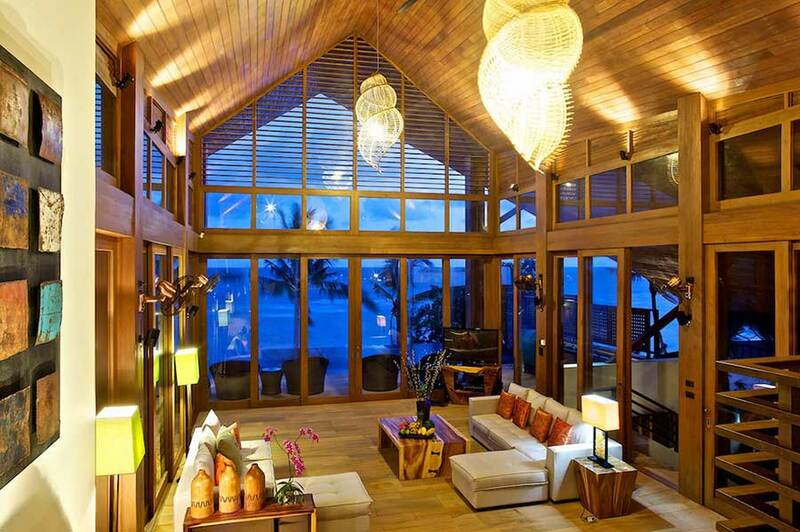 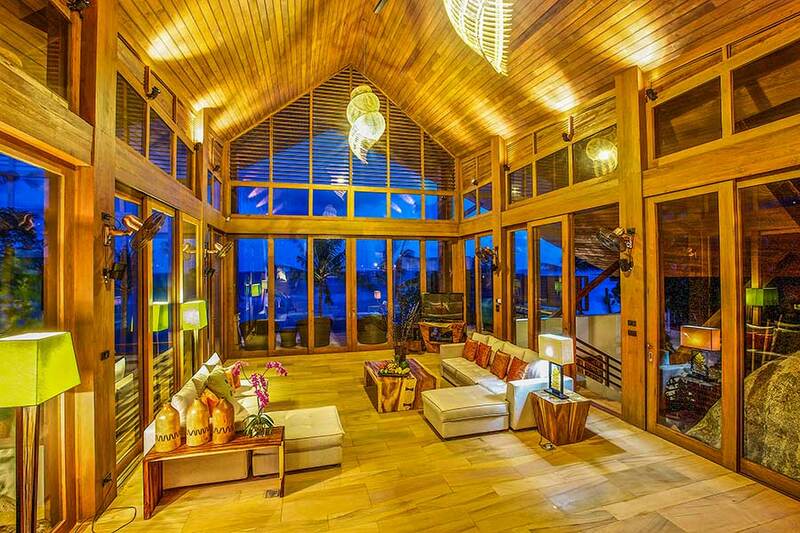 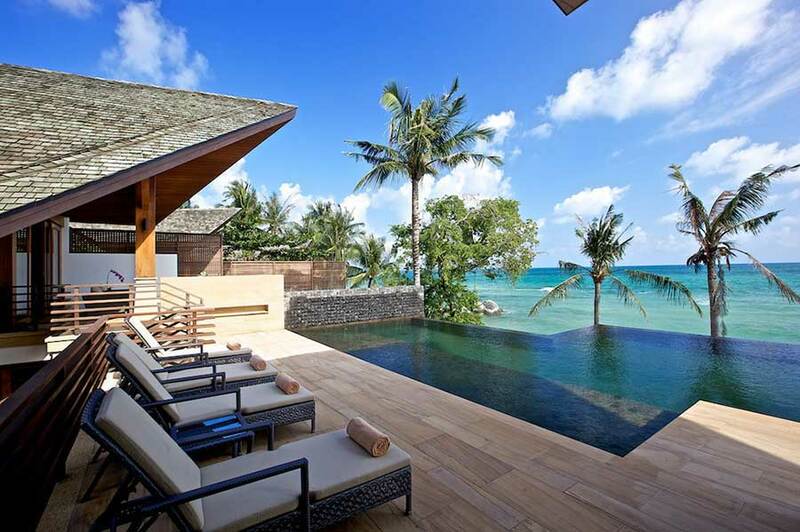 This property was built by a developer specialising in prestige holiday residences around the world. 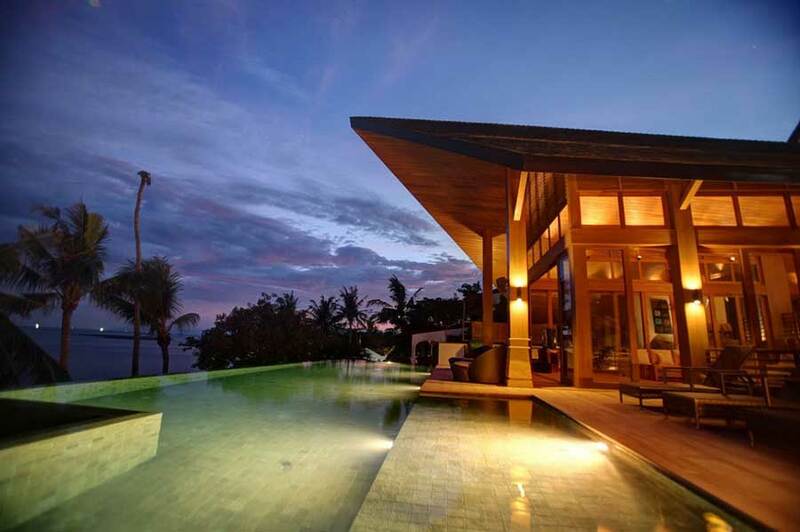 They have a proven track record of over 10 years with a value-added investment approach. Their private real estate funds have invested over 100 million USD in China, Thailand, Japan, Hong Kong and the U.S. 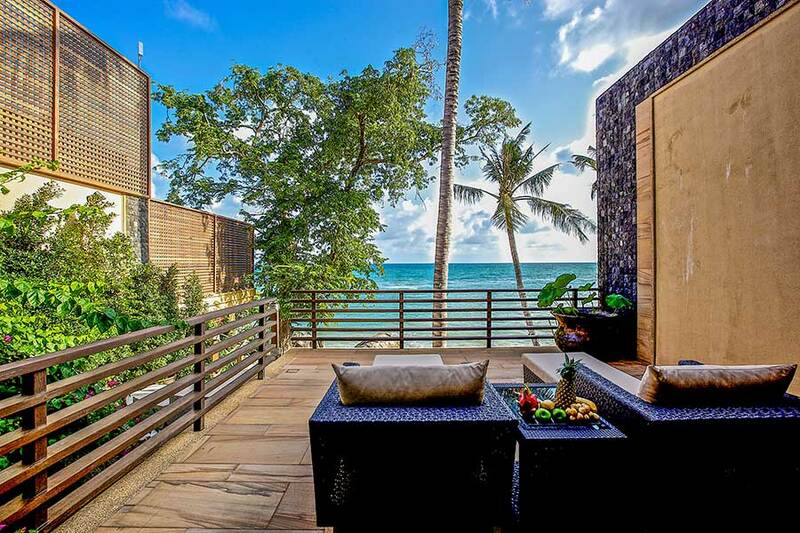 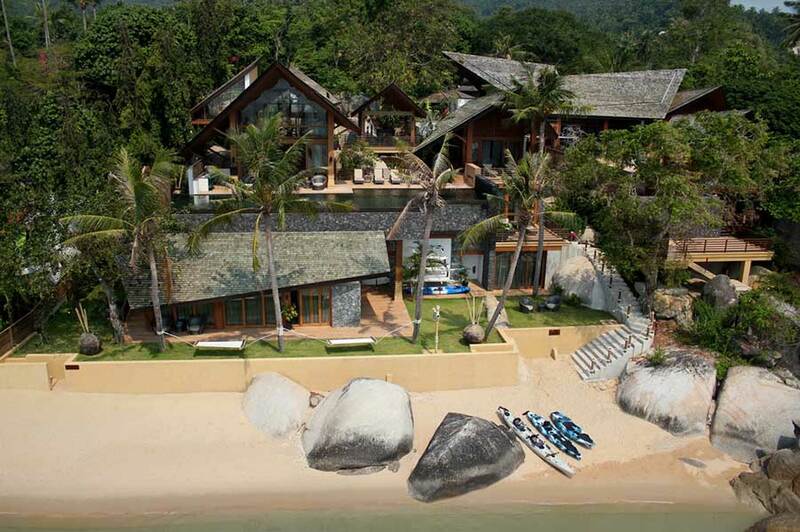 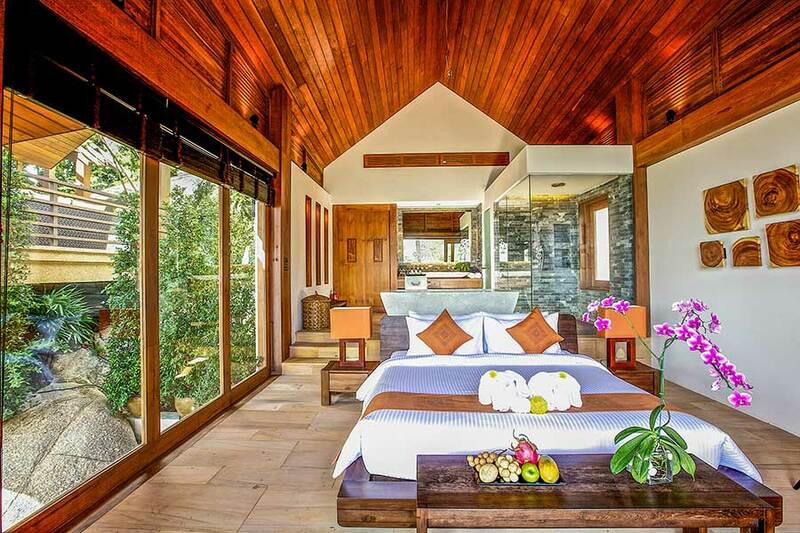 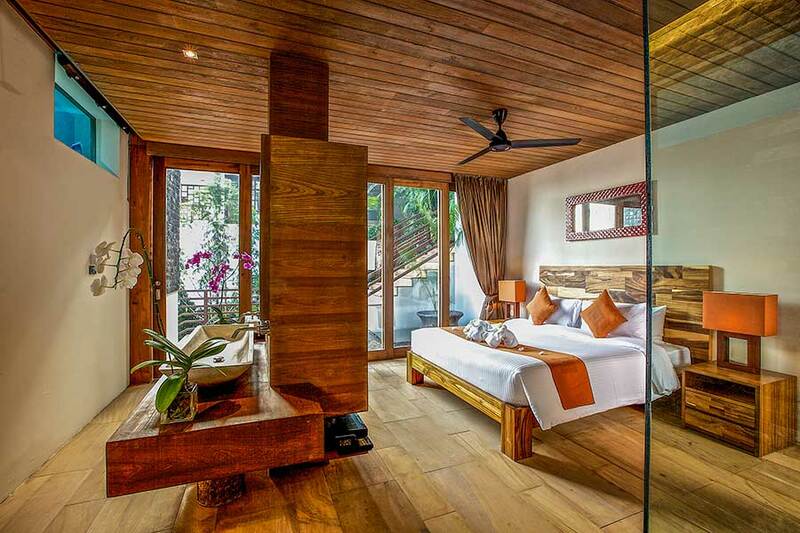 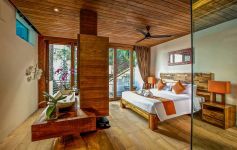 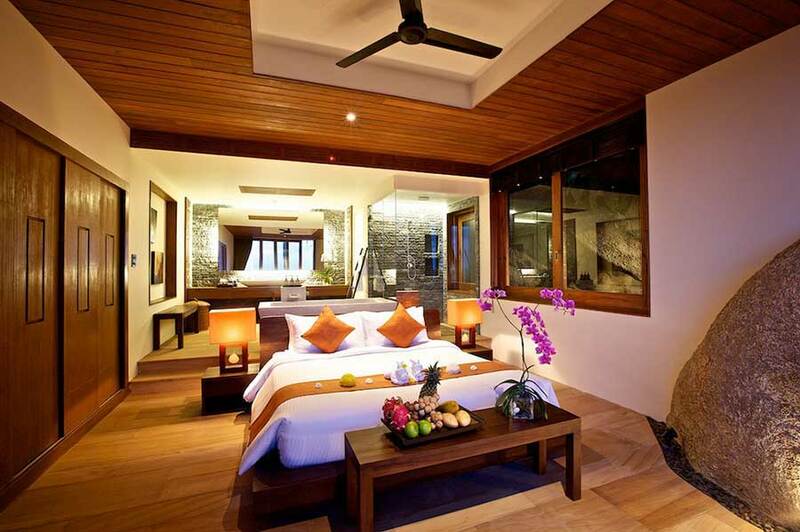 Luxury beachfront villas in secluded bay at Hua Thanon. 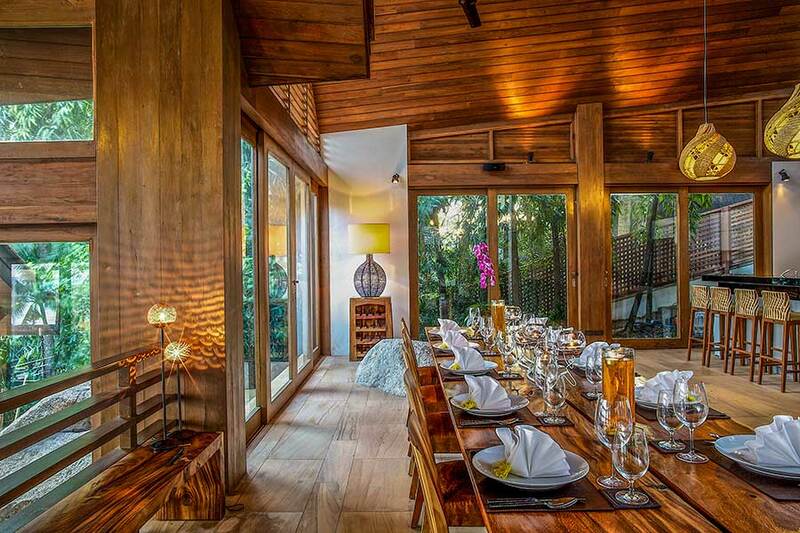 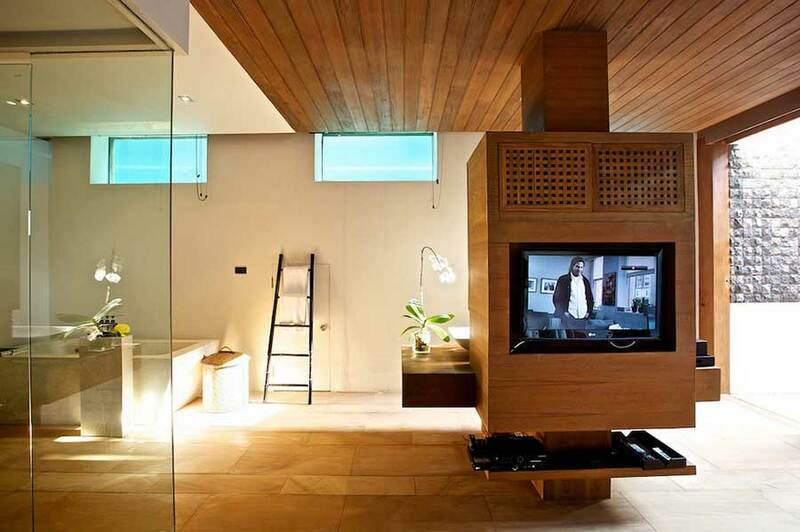 Fusion of Thai and Modern designs. 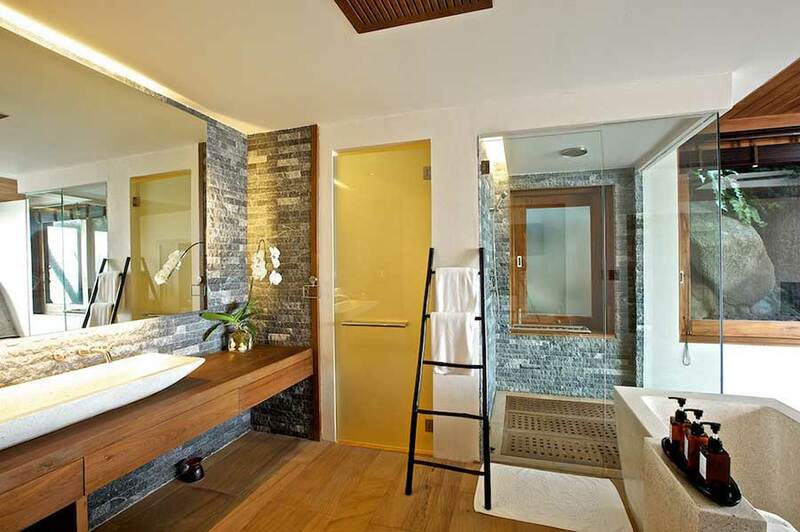 Full in-house property management services. 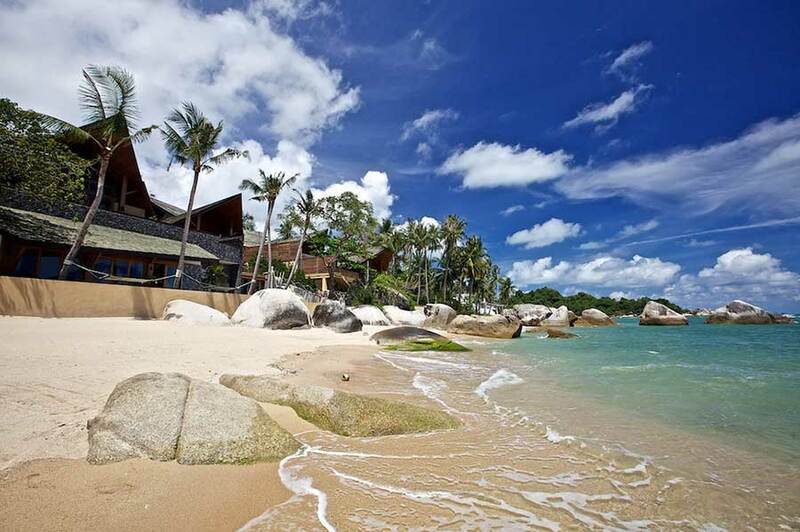 All villas within 150 metres of the beach.